Whether we are preparing an employment petition for a multinational corporation or assisting a small business, we are dedicated to doing everything right in our work. In the business immigration context, we represent companies and organizations in a variety of industries. 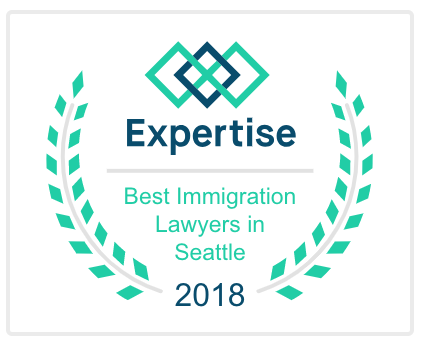 We use our expertise and experience with business immigration to carefully advise clients of their immigration options and we prepare strong petitions for approval. We have been outside immigration counsel to one of the largest and most-recognized non-profit organizations in the U.S. for many years and we assist employers of any size. The H-1B visa offers a path to lawful permanent residence in the U.S. If you are traveling to the United States for a professional job for a U.S. employer and you meet the qualifications, an H-1B visa may be suitable for you. To qualify, a bachelor’s or higher degree (or equivalent) in the specific specialty for which employment authorization is being sought is required. A prospective employer is required to obtain a labor condition application with the Department of Labor concerning the employment and then file an employment based petition on the applicant’s behalf with USCIS. Once the petition has been approved, a visa from the consulate may be obtained. H-1B status has a six-year maximum and it may be extended in limited circumstances. H-1B employees must be employed by their approved employer in order to maintain status in the U.S. 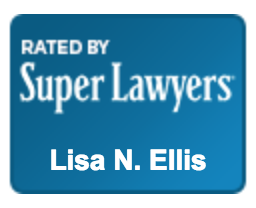 The L-1 visa can be used as a path for an employee to seek lawful permanent resident status. Employees of an international companies who are temporarily transferred to a parent, branch, affiliate, or subsidiary of the same company in the United States may qualify for an Intra-Company transfer (L-1) visa. The company abroad may be either a U.S. or foreign organization. The beneficiary/employee must be at the managerial or executive level, or have specialized knowledge and have been employed outside the United States with the international company continuously for one year within the three years preceding the application for admission into the United States. The employer files the L-1 petition and once the petition has been approved, the employee/beneficiary may apply for the visa. For new offices, the Petitioner will also be required to show proof of adequate physical premises for the new office and, within one year of the approval of the petition, the intended U.S. operation will support an executive or managerial position (L-1A). In the case of an L-1B petition for with specialized knowledge, the petitioner must show financial ability to remunerate the beneficiary and to commence doing business in the United States. If requested by the employer and approved, the Blanket L eliminates the need to file separate petitions with USCIS for each transferred employee. Instead, transferring employees may apply for an L-1 visa directly at a U.S. consulate or embassy in the employee’s own country. The TN classification is for Canadian or Mexican professionals working in the U.S. under the North American Free Trade Agreement (NAFTA). The TN allows citizens of Canada to work in the U.S. under a variety of occupations. Admission in this category may be obtained at the border or through USCIS. One-time occurrence – Petitioner has not employed workers to perform the services or labor in the past and it will not need workers to perform the services or labor in the future. Or, it is an employment situation that is otherwise permanent but a temporary event of short duration has created the need for a temporary worker. Seasonal need – The services or labor are traditionally tied to a season of the year and are recurring and predictable. Peak load need – Petitioner regularly employs permanent workers to perform the services or labor and it needs to supplement its permanent staff on a temporary basis to handle short-term or seasonal demand. Intermittent need – Petitioner has not employed permanent or full-time workers to perform the services or labor but occasionally or intermittently needs temporary workers to perform services or labor for short periods. There is a limit or cap on the total number of foreign nationals who may be issued a H-2B visa or otherwise be granted H-2B status during a fiscal year. Congress has set the cap at 66,000 with 33,000 for workers who begin employment on October 1 (1st half of fiscal year October 1 – March 31). The remaining 33,000 is for workers beginning employment on April 1 (2nd half of fiscal year April 1 – September 30). The current cap count is available at H-2B Cap Count. There are some workers who are exempt from the count including fish roe processors, fish roe technicians, supervisors of fish roe processing, workers performing services in Guam or Northern Mariana Islands and “returning workers” (2016 only). The O-1 category is for for foreign nationals who have extraordinary ability in the sciences, arts, education, business or athletics demonstrated by sustained national or international acclaim or a demonstrated record of extraordinary achievement in the motion picture or television industry. Extraordinary achievement means that the person has reached a level of achievement indicating that “the person is one of the small percentage who have arisen to the very top of the field of endeavor.” Individuals seeking O-1 status must have a sponsor. To prove extraordinary ability in science, education, business or athletics, a person must have received a major internationally recognized award combined with evidence of work and accomplishments that establishes that he or she is at the very top of his or her field. The E-3 classification permits Australian citizens who will temporarily be employed in the U.S. in a specialty occupation. In order to sponsor an E-3 Australian worker, a U.S. company must receive a certified wage from the Department of Labor before the application may be submitted to the embassy or the consulate. To qualify as a specialty occupation it must have a theoretical and practical application of a body of specialized knowledge; and the beneficiary must have a bachelor’s or higher degree in the specific specialty (or its equivalent). Individual or Team Athlete, or Member of an Entertainment Group. A person who performs either as an athlete in an athletic competition or as a person who is a member of an entertainment group may be eligible for the P-1 category. This category requires an internationally established level of performance, and includes support persons providing essential services to the performer(s). Artist or Entertainer (individual or group) who perform under a reciprocal exchange program between organizations in the U.S. and another country may qualify for the P-2 visa. This classification also includes support persons providing essential services to the performer(s). Person(s) who will perform, teach or coach in a culturally unique program or in a performance that is traditionally ethnic, folk, cultural, musical, theatrical or artistic may be eligible for the P-3 category. The P-3 visa also includes support persons providing essential services to the performer(s). Religious ministers or workers who have been a member of a bona fide religious organization in the U.S. for two years immediately preceding the filing of the application may qualify for the religious worker classification “R” visa. Bona fide religious organizations in the United States must have tax exempt status as an organization described in section 501(c)(3) of the Internal Revenue Code of 1986. The H-3 visa is available to applicants who are traveling to the U.S. solely to seek training in the U.S. that does not involve graduate medical education or training. The training must be for training that is not available in the applicant’s home country and must not be used to provide productive employment. It is an employer-driven two-step visa application process. Once your petition is approved by USCIS, you are allowed to apply for a visa at the consulate. The J-1 Visa category provides opportunities for participants to visit and work in the United States. There are a variety of J-1 programs offered and, depending upon the program, J-1 participants can enter the U.S. to receive on-the-job training, teach, or study for a period of up to several years. Before applying for the Exchange Visitor J-1 non-immigrant visa, the participant must first apply for and be accepted into an exchange visitor program with an authorized sponsor organization and be enrolled in the Student and Exchange Visitor Information System (SEVIS). A tailored training plan is also required. E-1 Treaty Trader and E-2 Treaty Investor visas are specifically designated for citizens of countries with whom the United States holds treaties of commerce and navigation. To qualify for an E-1 or E-2 Visa, the applicant must be entering the United States to engage in substantial trade and/or to develop and direct the daily functions of a business in which the individual has a considerable monetary investment. The applicant must also establish that the trading enterprise or investment meets and complies with all laws and regulations for the E Visa category. U.S. employers may sponsor foreign nationals for permanent residence. 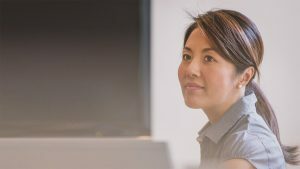 Usually U.S. employers must obtain a PERM Labor Certification for all employment-based foreign workers in order to establish that there are no qualified U.S. workers for the position. This requirement applies to skilled workers, professionals, and advanced degreed professionals, and other workers. The U.S. employer’s PERM labor certification must be certified before filing the immigrant visa. Certain foreign nationals may be exempt from the PERM Labor Certification requirement. These individuals include outstanding professors and researchers, doctors serving in underserved areas, multinational managers, those with “exceptional ability”, foreign nationals doing work in the “national interest”, and Special Immigrant Religious Workers. (c) if the alien’s services in one of those fields are sought by an employer in the United States. In order to be eligible for the National Interest Waiver, the individual must work in the U.S. in an area of substantial intrinsic merit; the proposed impact of work needs to be national in scope; and waiving the labor certification requirement would benefit the national interests of the U.S. It is important to note that the EB-4 category for religious workers is divided into non-ministers and minister. Non-minister special immigrant religious workers may have a religious vocation or occupation engaged in either a professional or non-professional capacity. For religious workers, the EB-4 petition is a two-step consecutive process. The Visa Bulletin for October 2016 announces that the EB-4 program for non-ministers is set to expire on September 30, 2016. Congress may act to extend through December 9, 2016. Disclaimer: The information contained on this webpage is provided for general information only and should not be construed as legal advice or the formation of an attorney/client relationship.